life history « Nothing in Biology Makes Sense! Perhaps winter hasn’t quite yet crawled up your windowpanes or stretched its fingers across your favorite pond, but it’s certainly making its presence known at latitude 64°N. I’ve been pulling out extra quilts, wrapping up in scarves for my morning bike commute, and making more baked goods to keep up with my hot chocolate habit. As a graduate student, I study the molecular story behind arctic ground squirrel hibernation at the University of Alaska Fairbanks. I’m the first to admit I’m a mammal kind of gal⎯I gravitate towards the furry and fuzzy and revel in soft fur, large eyes, and squeaky-cute chirps. However, every now and then I step outside of my mammalian bias and remember that there is a world of tiny, crawling, wiggling creatures that are surviving the cold in ways that are equally as extraordinary as the strategies employed by my favorite hibernating rodent. Arctic ground squirrel hibernating in the lab. So cute. Copyright © 2013 Øivind Tøien/Institute of Arctic Biology. I don’t think I’m alone in my mammalian predisposition. It can be easy to overlook insects, especially the more inconspicuous and less flashy species. However, during the Alaskan spring and summer, it is impossible to ignore the state’s most infamous insect: the mosquito. Mosquito (Culex quinquefasciatus) larva. Image courtesy of the CDC. Growing up in Alaska, I never thought about what happened to mosquitoes during the winter. Perhaps I was simply happy they were gone, or maybe my gravitation towards the furry was present from a tender age. In any case, it wasn’t until I was in my late twenties that I learned there are two general types of Alaskan mosquitoes. One variety⎯affectionately called “snow mosquitoes”⎯overwinter in adult form. When temperatures start to drop, they tuck away in tree bark or bury themselves in the leaf litter and begin the process of supercooling. You may have heard of supercooling, the process by which a liquid can remain liquid below its usual freezing point. A supercooled liquid must remain completely free of any impurity, as even a speck of dust can serve as a nucleation point for ice crystals to form. After snow mosquitoes rid their blood of impurities, they are able to survive winter temperatures as low as -31°C. Supercooling is an example of a freeze-avoidant strategy, in which an animal shifts its physiology to avoid the buildup of ice crystals in its blood. Yellowjacket queens living in subarctic Alaska also supercool. To avoid touching snow or ice, which can disturb a supercooled insect and promote instantaneous freezing, the queens hang by their mandibles from a twig or leaf stem in the leaf litter. The hollow space occupied by their hanging body creates a buffer of air between them and any dangerous frozen water. Vespula vulgaris, or common wasp, or yellowjacket. Image courtesy of JL Boyer. Another equally impressive strategy employed by overwintering insects is freeze tolerance. Instead of preventing the formation of internal ice, these insects embrace it. There are various means of becoming an insect icicle, and most involve promoting crystallization extracellularly. Encouraging ice to form outside of cells protects the delicate machinery within cells, which carries clear benefits to the animal. One exception to this rule is found in the alpine cockroach (Celatoblatta quinquemaculata), which can survive temperatures down to -9°C and allows for the formation of ice crystals within its gut cells. It isn’t entirely clear how they achieve this feat, but it could be via thermal hysteresis proteins (also known as antifreeze proteins). These proteins widen the gap between water’s melting point and freezing point by shaping ice into protein-sheathed, faceted ice crystals. Employing a thermal hysteresis strategy decreases the insect’s lower lethal temperature. Other freeze-tolerant insects include the Isabella tiger moth (Pyrrharctia isabella) and the flightless midge (Belgica antarctica). The mechanism of thermal hysteresis via antifreeze proteins. Figure courtesy of Davies 2014. It’s incredible to think about anything staying warm during a Fairbanks winter, much less a tiny mosquito or a wee wasp queen. To maintain my own endothermic heat through Alaska’s longest season, I use a variety of items and strategies, including down jackets, mittens, extra socks, toe warmers, heating oil, gasoline, wood stoves, hot chocolate, soup, quilts, and dog snuggles. Not nearly as efficient as some of my insect friends, but they will have to do. WARNING: This video is not for the faint of heart. It’s gruesome to watch if you love little baby birds. You’ve been warned. Since birds are dinosaurs, we have long assumed the quick way that birds exit their shell was mimicked in their much larger and significantly more extinct brethren. However, it turns out that it takes much longer (3-6 months) for a dinosaur to exit its shell. Why does that matter? Well it might have put them at a disadvantage relative to faster producing animals, like mammals and modern birds. Curious how scientist figured it out (No, they didn’t clone dinosaurs like Jurassic Park… yet)? Check it out over at Science. I don’t mean that we’re heading into the Age of the Octopus (although see here, and prepare for our cephalopod overloads). But rather, the lifespan and ageing of octopuses is kind of odd. 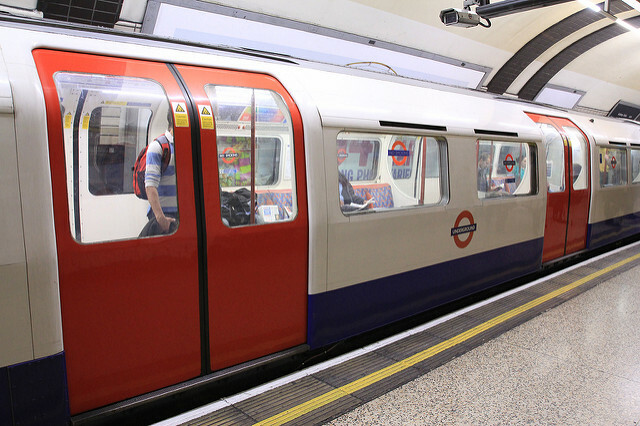 Not underground as in it burrows into the earth, but the formal noun referring to the London Underground. That’s right, as well as being an exceptional form of public transportation, the London Underground has it’s very own species of mosquito. It was first reported during World War Two, when the tunnels of the Underground were used as overnight shelters, housing 180,000 people. Read about it over at BBC, or read the original paper here! Sure, finding new and interesting species and describing them is exciting. But finding new bacteria that cause a well understood disease? Equally if not more exciting (my little parasitic loving heart is all aflutter!). While it has long been thought that lyme disease is caused by one bacterium (Borrelia burgdorferi), researchers at Mayo Clinic found something floating around in blood samples of people suspected of having Lyme disease that is totally different. 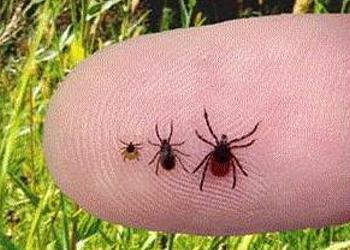 It has been named Borrelia mayonii, and it is remarkably similar to it’s lyme disease causing brethren. But it also has some important differences. Domesticated animals are the product of unnatural selection. To view some of the unnatural diversity in turkeys – check out Porter’s Rare Heritage Turkeys. They have the Sweetgrass, the Chocolate Slate, the White Holland, the Red Phoenix, and – my personal favorite – the Pencilled Palm (amongst many more varieties). They even have information on feather color genetics and what makes a (Heritage) turkey a (Heritage) turkey. Happy Turkey Day! Is that a White Holland I see?